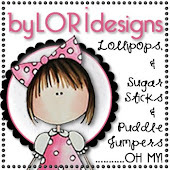 Our sponsor this week is Sassy Studio Designs...I love their pretty designs!!! I had so much fun coloring these stamps!! 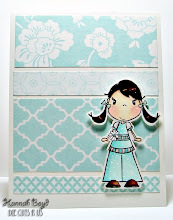 Thanks so much Sassy Studio...I love your stamps!! Click on the banner above to take a peek!! wonderful cards Hannah!! Good luck on the DCRU dt!! 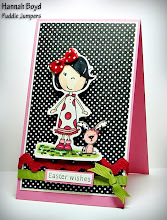 Fabulous cards, Hannah!! Love the fun color combos!! both of these project are AWESOME!! Great job! Love them! Hannah sweetie these two are so wonderful. The coloring is so vibrant and pretty! Just great all around for both projects!